From indoor and outdoor painting to total renovations of kitchens and baths,our quality speaks for itself. We care about the level of service we provide to our customers. And you can rest assured, you’ll be satisfied with the result. Kitchen and bath installations and remodeling is one of the main focuses of our business. Whatever you need, we can help you achieve the end result you want and stay within your budget. For any job, whether it is large or small, Brownlow and Sons will provide the same level of service and commitment to quality that our clients have come to depend on for generations. Our painting services include both interiors and exteriors. Inside, we can take care of installing new wallpaper, spackling and sanding, drywall removal, and flooring and tile repair. If your repair involves the outside of your home, we can handle that, too. Everything from power washing to caulking to painting to fixing up seamless gutters is what we do. 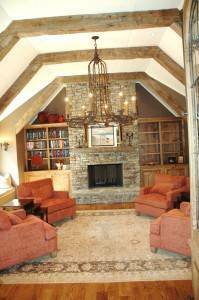 Our construction and renovation services cover your home’s interior from attic to basement to everything in between. It doesn’t matter if you need hardwood flooring replaced or require stone or stucco repair, we’ll offer comprehensive general contractor services to leave your home looking as good as new. Other repairs even include ceilings and toppers. We’ll install or remodel porches and Sunrooms. Exterior construction and remodeling is also available for repairing roofing, gutters, siding and more. At the end of the day, our priority at Brownlow & Sons is helping to bring your home remodel or construction dreams to life. Interested in learning more about what we can do for you? Contact us today for a free estimate.